Classical music: The Oakwood Chamber Players end their 30th anniversary retrospective this Saturday night and Sunday afternoon with Aaron Copland’s “Appalachian Spring” and other works. 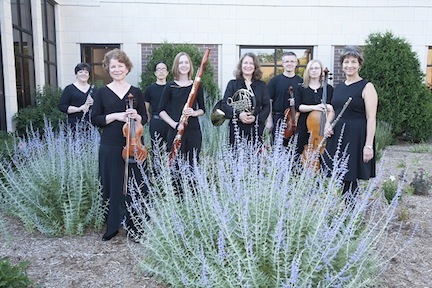 The Oakwood Chamber Players (below) have spent the 2014-2015 season – entitled “Reprise” — encoring performances of unique and much-loved musical works of art over their 30 years, as well as continuing their tradition of presenting memorable, neglected and newer chamber works to their audiences. Their final concerts of the anniversary season – to be held this Saturday night and Sunday afternoon — highlight music from significant moments in the history of the ensemble. The concerts are this Saturday, May 23, at 7 p.m. and Sunday, May 24, at 1:30 p.m. Both concerts will be held at the Oakwood Village Center for Arts and Education, 6209 Mineral Point Road, on Madison’s far west side near West Towne. The program includes works by American composer Aaron Copland, Danish composer Carl Nielsen, contemporary British composer Cecilia McDowall and contemporary Italian composer Corrado Maria Saglietti. Tickets are available at the door and cost $20 for adult general admission, $15 for seniors and $5 for students. Visit www.oakwoodchamberplayers.com for more information. 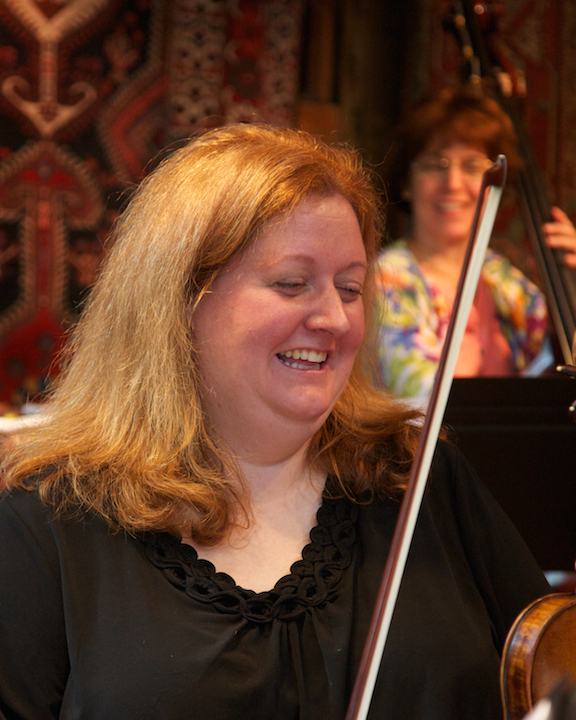 Guests for the final concert are Laura Burns (below top), Geri Nolden, Wendy Buehl, violins; Katrin Talbot, viola; Mark Bridges, cello; Bradley Townsend, string bass; and Scott Teeple (below bottom), conductor. 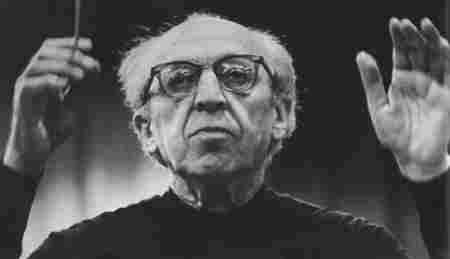 The original version of Aaron Copland’s Appalachian Spring (1944), scored for 13 players, was first performed in concert by the Oakwood Chamber Players 25 years ago on stage at the Wisconsin Union Theater. 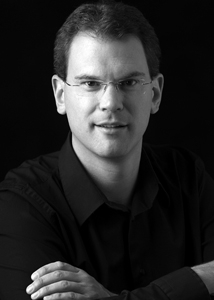 This enduring and popular chamber work will be conducted by director of University of Wisconsin-Madison Wind Ensemble, Scott Teeple. This chamber version of Appalachian Spring features 10 strings, flute, clarinet and bassoon. 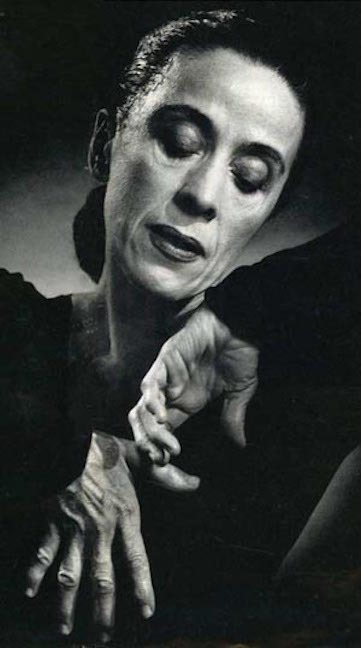 Originally commissioned by pioneering American modern dance choreographer Martha Graham (below top), this stunning compositional achievement earned Copland (below bottom) the Pulitzer Prize. In 2002, the Oakwood Chamber Players travelled to Washington D.C to represent the State of Wisconsin as artists for the 25th anniversary of the Kennedy Center. Included in that concert by the group was Serenata Invano (1914), for clarinet, horn, bassoon, cello and string bass. 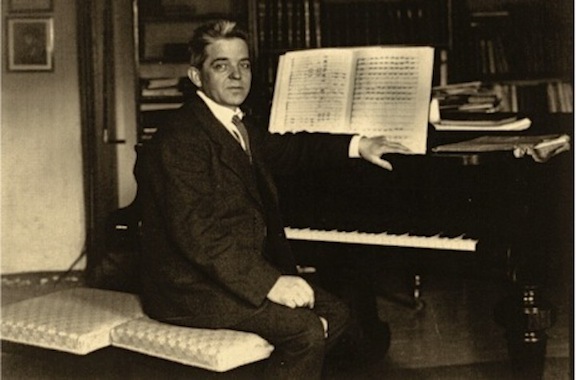 The work was described by its composer Carl Nielsen (below top) as a “humorous trifle.” The Oakwood Chamber Players will be joined by guest bassist Bradley Townsend (below bottom) for this upbeat work. 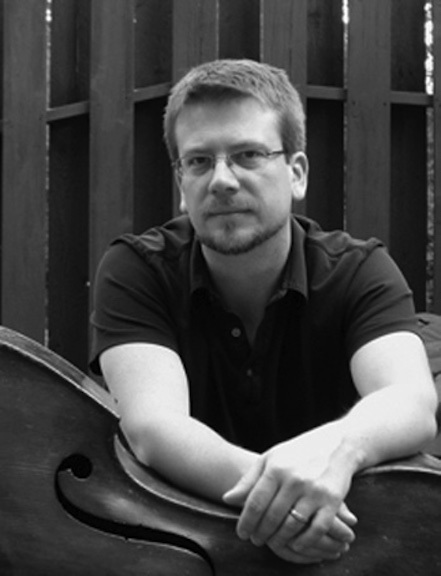 Two additional contemporary works of new music, performed for the first time by the Oakwood Chamber Players this season, will provide listeners with contrasting concepts on dance forms. 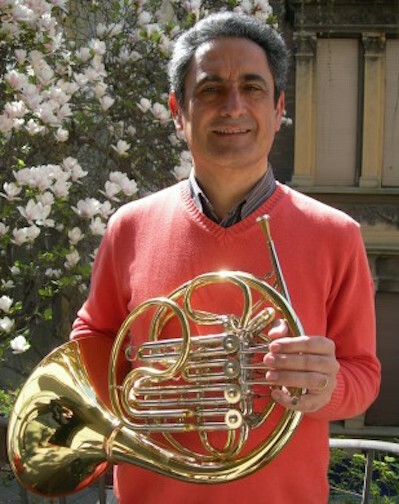 Italian composer and horn player Corrado Maria Saglietti (below) wrote his Suite for horn and string quartet (1992) in three movements. It features a sensual tango, a plaintive canzone and a jazz-influenced final movement with driving rhythms subtitled “Speedy,” which you can hear in a YouTube video at the bottom. Not Just a Place, by contemporary British composer Cecilia McDowall (below) – who did a residency this winter at the UW-Madison School of Music — is written for the sultry tones of viola, double bass and piano. Subtitled “dark memories from an old tango hall,” the piece is based on late night impressions of an Argentinian dance hall and creates a mesmerizing atmosphere.